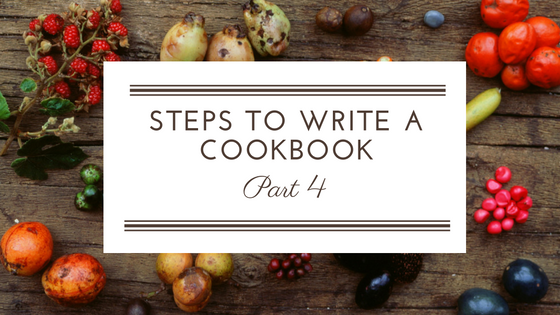 In part 4 we are going to talk about your author platform as a key part of writing your cookbook. Your author platform serves to help your audience get to know you better. It’s how they see you, hear you, and get to trust you. One reason to define your audience early in the process of writing a cookbook is to help you determine if building a platform is necessary. For example, if your audience is your family or college-aged kids, a platform isn’t essential. But, if your audience is middle-aged professional women who suffer from heartburn, then your platform is essential. You need to have a way to get in touch with these women, and they need to be able to find you, hear you, and see you as an expert in the treatment of heartburn through food and/or nutrition. Below are some specific ideas for you to consider as you build or expand your platform. The first five tasks I would consider to be the highest priority for an aspiring cookbook author. I also recommend that you consider building the first four tasks before querying an agent/and or editor with your cookbook concept. Tasks five and six provide additional ideas for how to let your audience get to know you better. It’s not essential to do everything on this list. You can reach your goals as a cookbook author with only a few of these in place. What’s important is to do something, and to be consistent. Your audience does want to, and they need to, hear from you. As a result, they will get to know you better, and hopefully, like you and trust you all because of the work you’ve put in to build your author platform. 1. Create a hub or home on the web. Build a website or blog with a unique domain name that belongs to you. (Or hire someone to build it for you. You’ll save a lot of time and they are the expert in this area.) Some aspiring authors use their name for a URL, and some use their brand or company name, but regardless of what you choose, it’s important to have your own home on the web. Think of it this way – if a social media site or platform goes down, or crashes, you want your audience to still be able to get in touch with you outside of the social media site or space that crashed or went out of business. Your website or blog doesn’t need to be expensive or complicated, but it should reflect the work you do and be kept up to date with new and fresh content. 2. Create an email address related to your domain name. A domain-connected email address lends credibility and professionalism to your work. Once you select your domain name, you can set up an email connected to your URL through your hosting company. 3. Collect email addresses from your audience. One of the best ways to keep in touch with your audience is via email. Collect the email addresses of those who visit your website and then send unique content on a regular basis to their email address. To collect email addresses, choose a provider that offers email service and address collection, such as Mail Chimp or ConvertKit. While you get started, some providers offer free packages. Have your web person add a place to your website to collect email addresses. (Ensure your audience that you don’t spam or share their email address with anyone.) To entice your audience to sign up, offer something for free in exchange for their email address. Examples of freebies are a newsletter, checklist, video, short email course, or workbook that relate to your audience’s most pressing problem or challenge. For example, I offer a checklist to assess if you’re ready to write a cookbook. 5. Create a simple press kit as a promotional tool. A press kit should include a bio, headshot, writing samples, contact information. Make the press kit available as a PDF download from your website, or use links to Dropbox for higher resolution images and files. Whenever anyone wants to know more about you for a speaking engagement or other opportunities, you can direct them to your press kit. How are you doing with building your platform? Download this checklist and make a plan to develop or build your platform. Your work will go a long way for future book sales, promotions, and reader engagement. In addition, a future agent and/or publisher will be pleased with the work you’ve done to get in touch and stay in touch, with your audience.